I am not a nature girl. The closest I want to be to insects is on the other end of a very powerful zoom lens and even that would be too close. 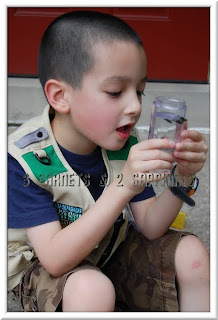 When I was given the chance to have my children review kids field gear from Backyard Safari Outfitters, I was happy to do so, especially when I found out that one of the items would be a bug vacuum. In addition to the bug vacuum, we also received a kids Cargo Vest and a Land & Water Mega View Periscope. 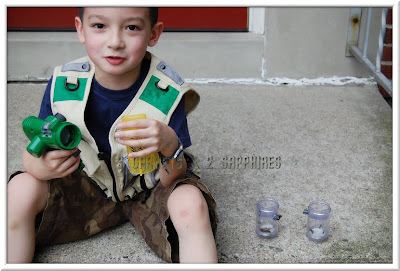 I thought these three items were a great start for some outdoor exploring. My 3yr old daughter wanted no part of it, but her twin brother and 6yr old big brother were extremely excited to get started. The vest fit my 6yr old well and had room for him to grow. I think this vest would last him about two more years. There were lots of pockets that would be perfect for magnifying glasses, specimen cups, and such things. 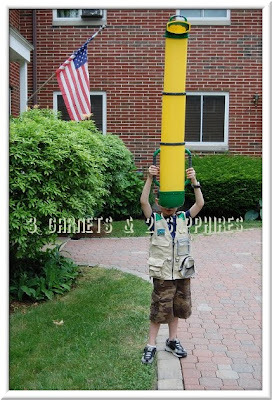 I was very happy that my son decided against putting anything alive in these pockets. The bug vacuum worked remarkably well for a toy. There were a couple of larger bugs that managed to escape because they were stronger than the suction. The vacuum came with two specimen jars, which attached right to the vacuum along with two different sizes of nose cones. 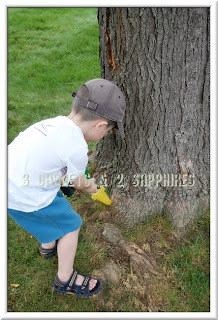 Even though the jars had magnifying tops, I think a habitat or a Critter Shack would have been handy to have along with a handheld magnifying glass. The periscope actually worked, although the field of vision was slightly small compared to the size of the toy. It extends to over 4ft and was difficult for our 6yr old to manage when fully extended. We did have a problem with the periscope receding on its own when the periscope was used to look at something high up. We did not have this problem when it was used horizontally. It is a shame we did not have a chance to use the periscope to look underwater because I think that would have been extremely interesting to all three of our children. Overall, I was impressed with the quality of these products. So far, they have proven to be quite durable after being dropped a few times. 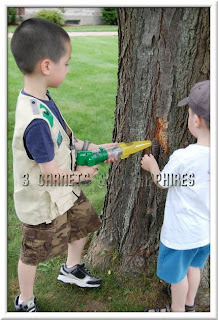 To view their full line of field gear, visit BackyardSafari.com . 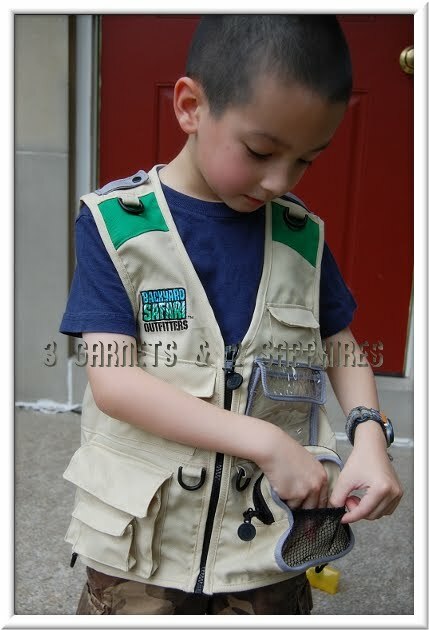 You can also stay up to date on the newest exploration products by visiting Backyard Safari Outfitters on Facebook and by following BYSOutfitters on Twitter. Thank you to Backyard Safari Outfitters for providing sample products free of charge for us to base this review upon for this Team Mom campaign.